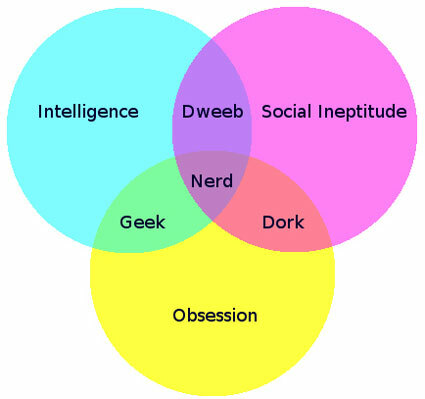 We are that rare combination of intelligence, obsession, & social awkwardness that are nerds. We want to encourage everyone to unabashedly embrace their passions! Covering anything and everything that would cause you to ‘geek-out’, we are Pure Nerd-Nip! After years of spending time & energy trying to fuel a career in post production in Los Angeles CA; I have since moved back to the area I call home. While I’m glad to have many of the downsides of the city, the people, the traffic, and weather, out of my life for good; there is one thing that remains as a hole in my heart, and that is the frequency and propensity to ‘geek out’ over new [blank] news (be it movies or music or comics or cons) and the friends with whom my geek love was shared. I guess this whole purpose for this then is to serve as a soundingboard for the type of discussions and points about things I would normally talk about with my aforementioned friends. It’s slightly better than talking to a wall in their absence; because who knows, maybe this wall will talk back. Maybe from out of this wall will spring up a community of people that would like to tell me my insight into Neil Gaiman’s Good Omens was, well…insightful; or that my hatred for Inglorious Basterds couldn’t be more wrong; or maybe just get together a group to go check out a late night 8-bit chiptune band performing a few hours away. Who knows, maybe this grand experiment will turn the internet into a friend (can’t wait to see what happens when I get the internet drunk). Maybe it renders the bare minimum and gets me to voice my pithy opinions on things already two weeks out of date to hit the ears of 10’s of people. Maybe I’ll get bored in a week and quit; but who knows if I never try. In any eventuality the topic will be my love of all things pop culture and how that affects my geek trifecta of Comics, Entertainment, and Gaming. Hopefully it will be part funny, part touching, part up lifting; I want it to truly feel like you were there with me at whatever event was going on and share that experience with you; because this is a slice of my life I’m leaving open to be viewed and critiqued by just about anyone. So thanks for reading and come start the adventure…Friend.